Are you buying a new Chevy car, truck, or SUV with advanced technologies you’re unfamiliar with and want to learn more about? In this research page, we’ll take you through some of the most popular Chevy tech features so you can use them to their full advantage. Browse the new vehicle inventory at our Chevy dealership in Merrillville, IN to search vehicles available with Chevy technology. We encourage you to give us a call at 219-947-4151 with any questions about the Chevy technology featured on this page. A long car ride won’t be a struggle with 4G LTE Wi-Fi™. A fast reliable connection in your Chevy vehicle means you can stream content and manage your business on the go without using up every last bit of your mobile phone data plan. 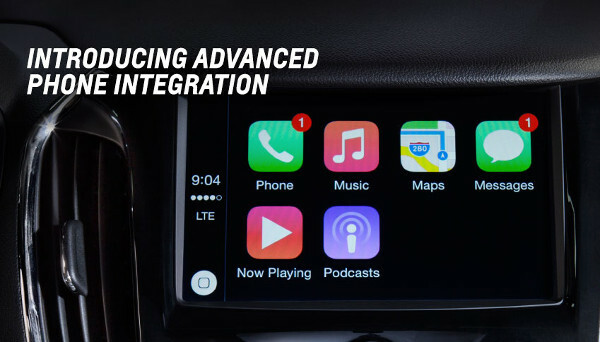 If you own an Apple or Android device, you can seamlessly integrate it with Android Auto™ and Apple CarPlay™. This allows you to connect your smartphone to the infotainment screen for easy access to your contacts, apps, calendar, playlists, and more. Chevrolet Tech Center at Mike Anderson of Merrillville! Would you like more information on any of the features we covered in the Chevrolet Technology Center research page? Send the team at our Chevy dealership in Merrillville, IN a message online or call 219-947-4151 to speak with someone directly.